Following the university’s acquisition of the School of the Museum of Fine Arts (SMFA) this summer, the upcoming admissions cycle will mark the first that will be overseen by Tufts. To prepare for this process, the Office of Undergraduate Admissions has been aligning the SMFA admission standards with those of Tufts, Karen Richardson, dean of admissions and enrollment management, said. Part of this integration effort includes retaining the SMFA’s four admissions officers. Those officers work out of the SMFA Fenway campus and are primarily concerned with fine arts applicants, Richardson said. “The Fenway staff, because they have art backgrounds, are doing the portfolio reviews,” she said. According to Richardson, a committee of both SMFA and Tufts admissions officers will make the final decisions. Karen Townsend, director of admissions for SMFA at Tufts, said this cooperation has increased from when the two institutions were separate. “This was the first time we had all been in the same room to render those decisions,” Townsend said. According to Dean of the SMFA Nancy Bauer, the staff combination provides a significant increase in admissions resources for both schools. “It’s now the case that all of our admissions staff know how to talk about the SMFA, [and] similarly the SMFA officers know how to talk about everything from anthropology to biomechanical engineering,” Bauer said. According to Richardson, outreach efforts for Bachelor of Fine Arts (BFA) and Five Year BFA+BA/BS Combined Degree candidates are now coordinated between the Bendetson Hall-based Tufts admissions personnel and the Fenway-based SMFA office. 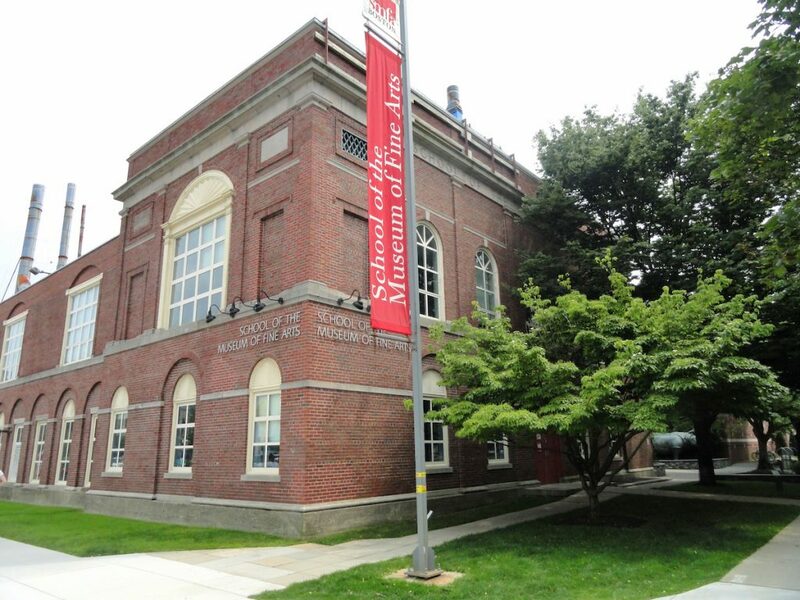 According to Bauer, the SMFA is pursuing vigorous recruiting opportunities including a Portfolio Day at Hynes Convention Center in late November. This type of recruitment is fairly unique to the fine arts, Bauer said, as other fields do not usually have such high-profile events. As a result of this combination of resources, the SMFA can focus on art students while expanding Combined Degree program enrollment, Townsend said. Bauer added that she believes the Combined Degree program will get more popular, noting that the SMFA is still interested in students who are not in the Combined Degree program and that those students have always made up the bulk of the SMFA student body. “Tufts is now a really fantastic place for someone who is academically strong and really strong as an artist,” Bauer said. According to Richardson, the Fenway staff now applies the same standards to SMFA applications as the Bendetson Hall staff applies to Arts and Sciences and Engineering undergraduate applications. SMFA admissions standards are therefore changing, Bauer said, as SMFA applicants now have to submit SAT or ACT scores, although they will continue to submit an artist’s portfolio. She said that retaining the focus on studio art in admissions was key in the integration, though she said this does not negate the SMFA’s emphasis on other academics. For example, students have to take 14 liberal arts courses to get a BFA, according to Tufts’ admissions website. “As always, the portfolio will be critically important,” Bauer said. Richardson noted that students for the Combined Degree program now only submit one application through the Common Application, and a portfolio review takes the place of the two SAT subject tests that non-SMFA applicants must take along with the SAT. According to Richardson, the SMFA is also moving from merit-based financial aid to need-based financial aid, reflecting Tufts’ current policies. The complex nature of admissions means there may be significant unexpected difficulties, Richardson explained. “It’s hard to anticipate what the challenges are going to be,” she said. However, she remained optimistic about the future of the two schools’ integration and the possibilities it will provide. Bauer said that the admissions cycle changes are just the beginning of a more comprehensive integration of the institutions, including advising opportunities. “In most departments, on both campuses, we will have an ambassador who is the point person for students who want to take courses in that department, but want some advice,” she said. According to Townsend, Tufts is now competing against both liberal arts schools and private fine arts schools. For Tufts there is a delicate balance between intellectually diversifying the Medford/Somerville and Fenway campuses and maintaining the independence of the SMFA, she added.